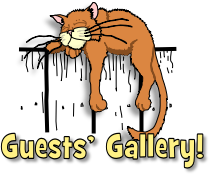 You are welcome to come into the cattery and settle your cat. 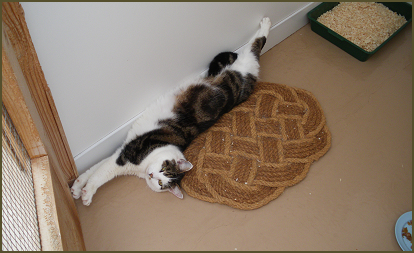 Everything needed is provided but beds and toys may be brought as familiar items can help make your cat feel at home. Please ensure your cat is transported in a secure basket/carrier. Don’t worry if your cat is reluctant to come out of the basket straight away as new surroundings can always be a little daunting and sometimes a little time and patience is required. Once in the room your cat will usually explore the surroundings inside and out before settling down. When your cat is settled all the details will be checked at reception and a contact number may be given for while you are away. It is important that you advise us at this time of any previous illnesses or problems such as asthma, blood in faeces or cystitis for example, in order that extra monitoring by the staff can be carried out which may also avoid an unnecessary visit to the vet. When you return to collect your cat you will be accompanied to the cattery and your cat will then be put in the basket/carrier for you to take home together with any bedding/toys etc. We will then ask you to settle your bill and please remember that we only take cash or cheques.